Late comedian, actress, producer and television legend Lucille Ball would have turned 105 years old this year on August 6. 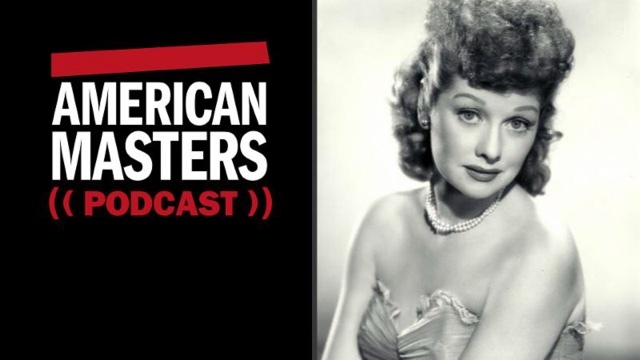 Celebrate her birthday with episode four of the American Masters Podcast featuring actresses Doris Singleton, Fran Drescher and Carol Burnett, who discuss Lucy's successes and challenges as one of America's first women media moguls and television sensations. Hosted by series executive producer Michael Kantor, new episodes of the American Masters Podcast are available biweekly on the In Their Own Words: The American Masters Digital Archive website, iTunes, Soundcloud and Stitcher. Season one, "Women on Women," features long-form interviews with influential women discussing women cultural icons. In a never-before-seen video from In Their Own Words: The American Masters Digital Archive, comedian, actress and producer Fran Drescher speaks about Lucille Ball's style and determination as Lucy on I Love Lucy in an interview filmed for American Masters - Finding Lucy (2000).